AASARE ORGANISATION FOR REHABILITATION OF CHILD LABOUR AND STREET CHILDREN is located in Sira Town Karnataka . AASARE ORGANISATION FOR REHABILITATION OF CHILD LABOUR AND STREET CHILDREN is registered as a Society at Chitradurga of state Karnataka with Ngo unique registration ID 'KA/2010/0025537' . 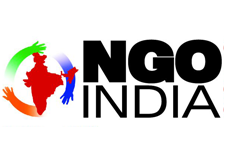 The NGO registration is done by Registrar of Societies with registration number S.O.R.171/2002-2003 on the date of 25-09-2002, Its parent ORganaisation is PaulFoundation. The Chairman of AASARE ORGANISATION FOR REHABILITATION OF CHILD LABOUR AND STREET CHILDREN is N Manjula and Chief functionary officer is M Sudhakar Rao. Promoters are Thippamma, Sunitha S, Nithya Shree N,Srinivas K.
Aasare Organization working for The Rehabilitation Of Child Labour & Street Children,Aasare aims to Build a just & Humane society,A society without any Prejudices and Discrimination,Primary health care among the poor and needy Child sections, always in the forefront & in this as Aasare vows to provide the same along with Vocational Training to the Marginalized and Disadvantaged sections Living with AIDS / HIV.